Birgu shows how to party! It is probably one of the tiniest walled cities in the world but that doesn’t mean Birgu doesn’t make merry in a very big way. 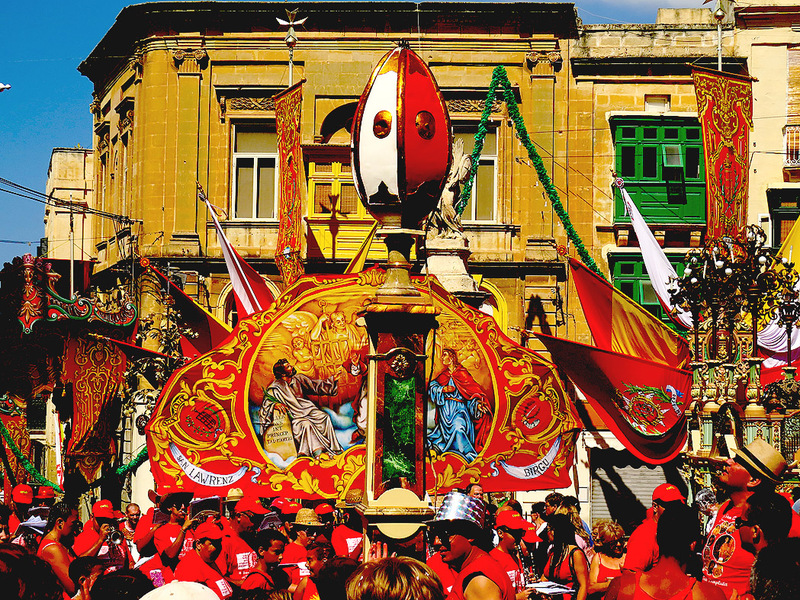 Despite its minuscule size Birgu celebrates not one but two main festas – Saint Dominic which is considered the city’s secondary feast and Saint Lawrence – the city’s patron saint’s feast. 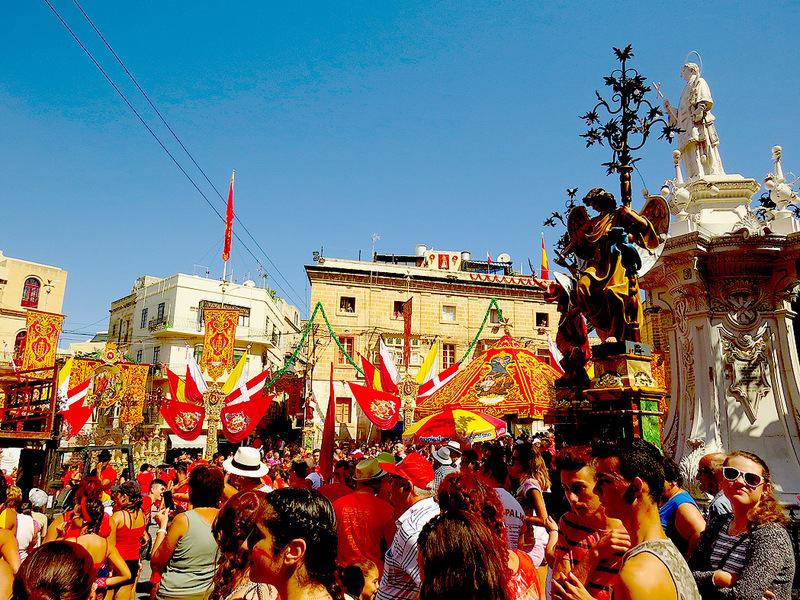 Birgu celebrates Saint Lawrence every year on the 10th of August. Unlike other parishes it keeps the annual appointment scrupulously and does not move the feast to the nearest weekend as most other parishes tend to do. This also means that Birgu’s largest band march – held on the morning of the 9th of August annually – has a good chance of falling on a working day. This does not seem to deter the Birgizi… while the rest of the island is at work, it looks like all the city’s citizens take the day (or possibly the whole week) off work and… just party. And one big party it is. It all starts from Victory Square – a large urban space just behind the church. The square’s name commemorates the victory of the Knights over the Ottoman powers in the Great Siege of 1565 (the city’s official name is Citta Vittoriosa – a title bestowed by Grand Master La Valette who oversaw the defence of the island from within Birgu). Birgu is well known for its lavish festa decorations, and this square is definitely the highlight and centrepiece of that. 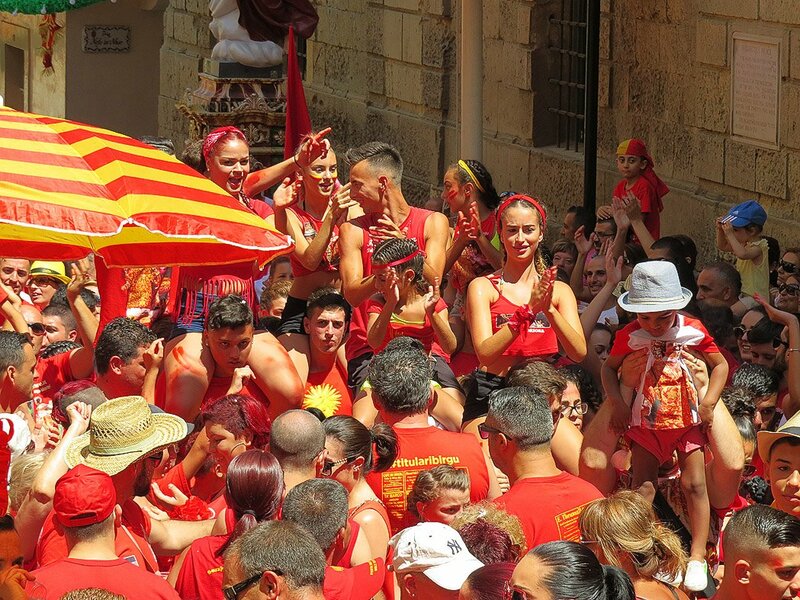 By around 10am the square is awash with people wearing the traditional red associated with the feast. The celebrations kick off in a curious way. An egg shaped ornament raised on a plinth is opened by means of a small controlled explosion and from it a few birds are released. This is the sign that the party is on and the band soon leaves the square to start its noisy way through the city’s winding streets. The highlight is reached near the rival church of St. Dominic’s some way up Birgu’s main street, but the merriment goes on for a few hours more into the afternoon hours of the August heat. 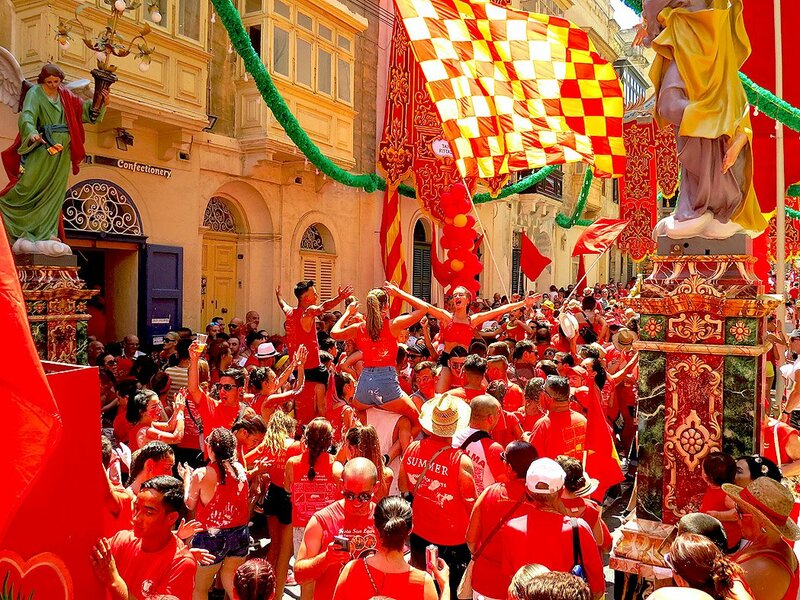 Indeed the big heart of Birgu is on show in this annual piece of street partying. Take time to visit the parish church of Saint Lawrence on the city’s waterfront. Not only is the church dressed in its finest decorations for the occasion with all its silverware on display, but it also boasts the Calabrian maestro Mattia Preti’s largest canvas as the church’s crowning altarpiece.